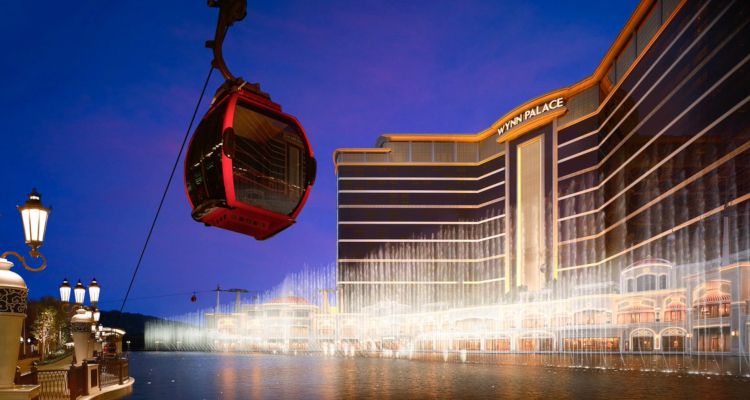 American casino giant Wynn Resorts Limited has reportedly announced plans that will see it add a further 1,371 rooms to its Wynn Palace Cotai integrated casino resort in Macau via the construction of a pair of adjacent hotel towers. According to a report from GGRAsia, the revelation came from Matt Maddox, Chief Executive Officer for the Las Vegas-headquartered firm, during a Wednesday conference call to discuss the operator’s unaudited third-quarter financial results. He purportedly did not detail the cost or timetable for the envisioned expansion of the Cotai Strip property but did declare that a more thorough estimate is expected to be made available next year. Maddox reportedly explained that the 1,700-room Wynn Palace Cotai ‘needs more hotel rooms’ if it is to surpass $1 billion in annual earnings before interest, tax, depreciation and amortization before declaring that the figure for the nine-month period to the end of September stood at $617.3 million. GGRAsia reported that the first stage of the plan from Wynn Resorts Limited would see the firm’s Wynn Macau Limited subsidiary build a 671-room all-suite hotel tower on a seven-acre parcel of land located next door to the Wynn Palace Cotai. It detailed that this 1.5 million sq ft venue would subsequently be followed by a 700-room counterpart sited on a four-acre plot situated to the north of the existing structure. To complement the new hotel towers, Maddox reportedly stated that his firm would additionally like to construct a large glass structure on the seven-acre site to be christened as the Crystal Pavilion. He purportedly proclaimed that the plan currently calls for this structure to feature non-gaming facilities such as a ‘fully immersive’ theater offering a trio of regular shows. For the third quarter, Wynn Resorts Limited reportedly detailed that its aggregated operating revenues rose by 10.2% year-on-year to reach $1.7 billion while its adjusted property earnings before interest, tax, depreciation and amortization had increased by 6.6% to stand at $504.3 million. Wynn Resorts Limited reportedly explained that third-quarter operating revenues from its Wynn Macau Limited subordinate swelled by 20.5% year-on-year to hit $1.3 billion thanks in large part to a 19.4% boost from its casino business to approximately $1.1 billion. It moreover purportedly stated that the subsidiary saw its comparable net profit for the three-month period more than double to surpass $223.5 million.